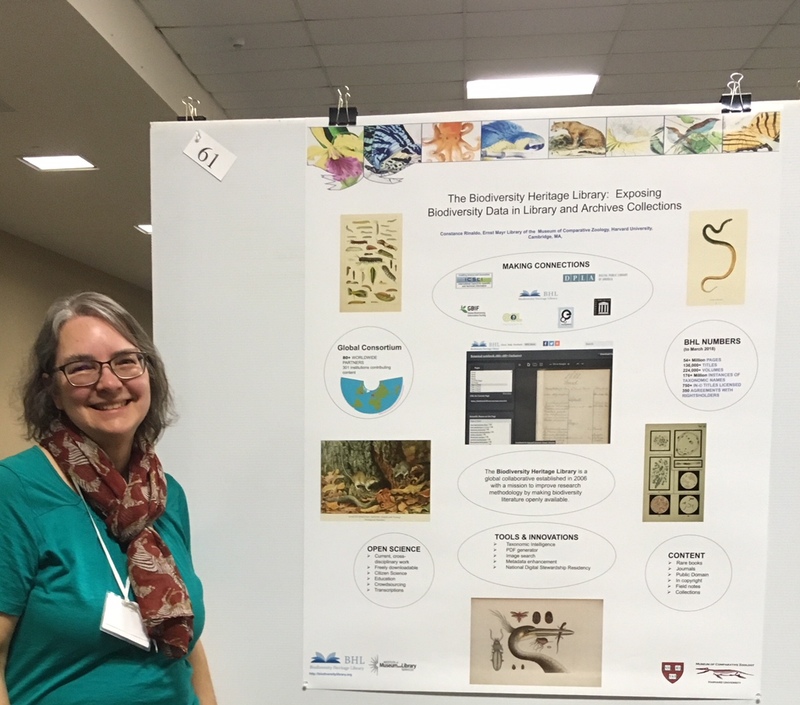 Constance Rinaldo (Librarian of the Ernst Mayr Library and Museum of Comparative Zoology Archives; Chair of the BHL Executive Committee) standing with her BHL poster at the Northeast Natural History Conference. Some of the posters that caught my eye (beyond the BHL poster that I presented) included “Restoring Northeast Understory Species: A case of the Primary Literature” presented by Isabel A. Schmitt and Dr. James H. Graves. 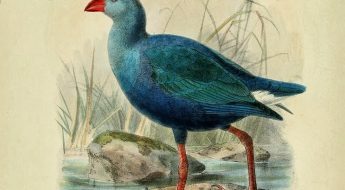 They presented a literature review that led to practical methods to reintroduce native species. Another interesting poster was the “Use of Point-and-Shoot Photography to Compare Regional Differences in Coyote (Canis latrans) Skull Size”. Osrica Mclean et al developed an online collection of digital images of skulls and calibrated the images so that they could be measured accurately online. I attended a talk about how specialist and generalist rodents disperse mycorrhizae (Ryan Stephens and Rebecca Rowe) along with a presentation that detailed 42 years of vegetation change on Franconia Ridge in New Hampshire by Charles Cogbill. Dr. Cogbill used an archive of photographs (from 1860 to present) to identify the effects of hikers on the trail vegetation (much damage is done). Another conference theme was bats and how white nose syndrome has affected bats in New England. In a talk by Meghan Lout, she described a house in Middlebury, VT from which 550 bats were seen exiting one evening. The owners were unaware that their house was a haven for bats. 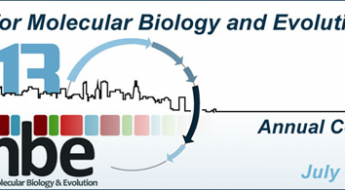 Interacting with so many enthusiastic people studying nature—from observational work to highly experimental research—was inspiring and exciting. The BHL poster was well received. University faculty members and naturalists from small organizations stopped by to tell me how much BHL has improved their research workflows. Many students discovered BHL at this conference and were suitably impressed. I asked for suggestions to enhance BHL and the common theme was “more”. More content (with some individuals offering resources) and more current materials. New potential users were surprised that content is available for free download. A few of the more sophisticated users suggested that we needed a taxonomic name authority file so names can be plugged in and the historical names and current names could be viewed as a complete set. Leaving was somewhat deflating—snow, sleet and freezing rain as only the north country can do it. Miserable driving, 45 mph tops, cars off the road, 4 hours on the road instead of 3. But so worth it to be among so many people studying the natural world. Constance Rinaldo is the Librarian of the Ernst Mayr Library and Museum of Comparative Zoology Archives at Harvard University. She is currently the Chair of the BHL Executive Committee. Coming Soon to BHL: Full Text Search!